If you already your startup up & running but lack of funding or just looking to get started, this is the event you must come down. 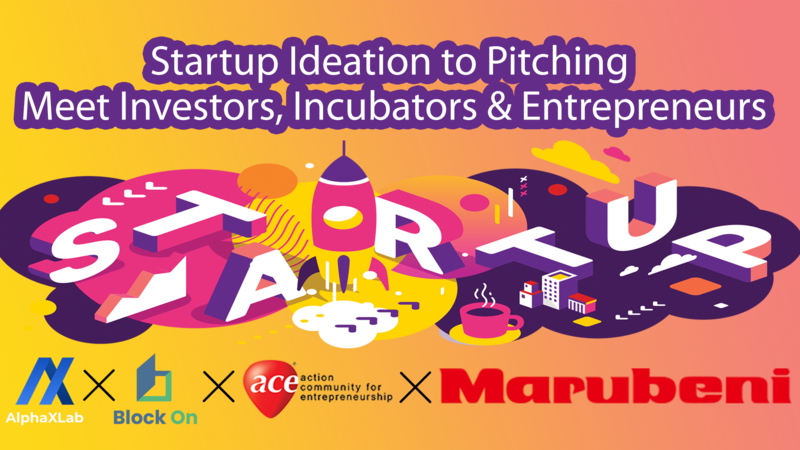 Our partner, ACE is running Startup Co-innovation & Investment Pitching with Marubeni for promising startups to raise funding of US$1 to 3 million. 7:40 pm – 8.10 pm -> Panel Discussion with VCs & Incubators: What are the key indicators of potential unicorns? • How to validate your idea and see if it is worth pursuing? • Where to search if there is demand for your idea? • What is UVP & why it is important? • How to craft the Elevator Pitch? • Why Most Startups failed? • What should you do between Idea to Launch? • Is Solo Entrepreneur Good for you? • How many Co-founders should you find & Where to find them? • How to valuate your idea and how much it is worth? • What should be inside Investor Pitch Deck? 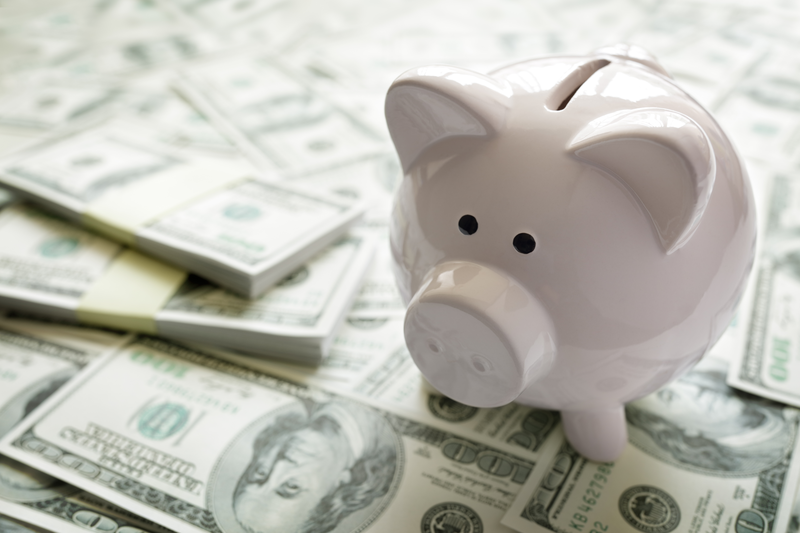 • How much should you raise for your startup? 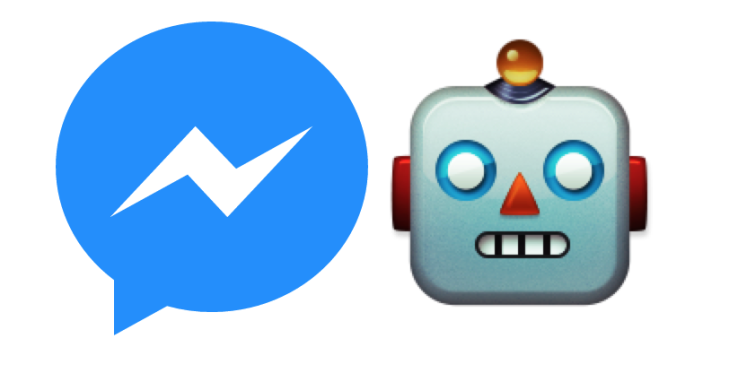 AlphaXLab Pte Ltd is Singapore-based Software Development Company founded in 2017 and provides Web/App Development, UI/UX Design, Training & Blockchain Development. 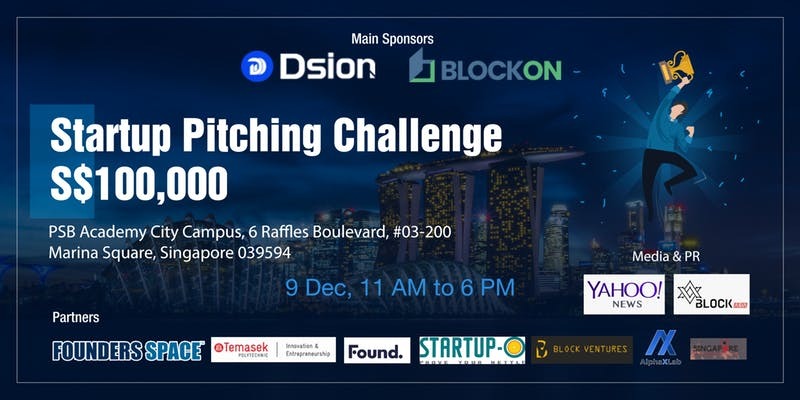 The Team worked with various corporate companies such as Keppel, IRAS, NTUC, Found, ACE startup, Founders Space, BCoin, Digifinex & Block On. The Action Community for Entrepreneurship (ACE) is a national private sector-led organisation to drive entrepreneurship and innovation in Singapore. Launched in 2003 by the Ministry of Trade & Industry and restructured as a private entity in 2014, ACE is supported by the government, under the patronage of Senior Minister of State for Ministry of National Development and Ministry of Trade & Industry, Dr Koh Poh Koon. ACE’s Board of Directors also comprises of experienced entrepreneurs and professionals immersed in the entrepreneurial ecosystem. ACE takes on three main thrusts to focus on strengthening the entrepreneurial scene:Access Hub for Connected Ecosystems, Avenue for Company Expansion & Accelerated Co-innovation Enabler. Marubeni Corporation is Japan-based Listed Company. Marubeni Corporation and its consolidated subsidiaries use their broad business networks, both within Japan and overseas, to conduct importing and exporting (including third country trading), as well as domestic business, encompassing a diverse range of business activities across wide-ranging fields including food, consumer products, chemical & forest products, energy & metals, power & plants projects, and transportation & industrial machinery. Additionally, the Marubeni Group offers a variety of services, makes internal and external investments, and is involved in resource development throughout all of the above industries.